In a first of its kind, the International Cricket Council has named a women’s team of the year. The players have been selected based on their performance between September 14, 2015, and September 20, 2016. West Indies batting star Stafanie Taylor, who led her team to World T20 glory earlier this year has been named the captain of the team. Smriti Mandhana is the only Indian player to make it to the team. 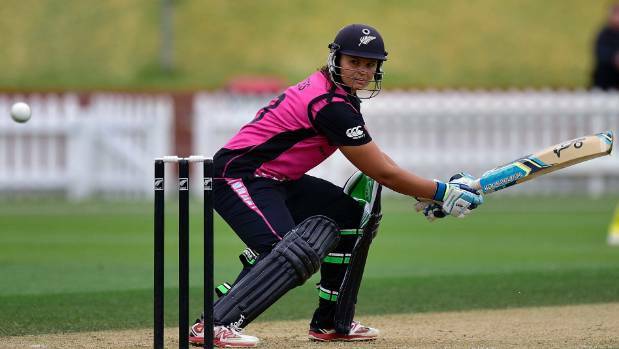 New Zealand star Suzie Bates, who became the first cricketer to clinch both the ICC Women’s ODI and T20I Player of the Year awards, has been selected to open the innings with her compatriot Rachel Priest. Mandhana will follow them at number three. The hard-hitting West Indies captain Stafanie Taylor will come at number four. With the likes of Deandra Dottin, Sune Luus, Anya Shrubsole and Leigh Kasperek, the bowling lineup looks formidable too. Irish opener Kim Garth is the 12th man. The history-maker deserved the place in the team after a brilliant year both with the bat as well as the ball. She scored 472 runs in eight ODIs for an average of more than 94 apart from taking eight wickets. In T20s, she scored 429 runs at an average of 42.9, and a strike rate of over 115.